The Medical and Aesthetic Training Academy (MATA) has launched two new postgraduate level qualifications on injectables named the ‘Certificate in Clinical Aesthetic Injectable Therapies’ and the ‘Diploma in Clinical Aesthetic Injectable Therapies’. According to MATA, they provide a vocational programme of study in clinical aesthetic injectables designed to meet individual needs with an emphasis on clinical skills development, in-depth knowledge and understanding. The Certificate in Clinical Aesthetic Injectables is tailored toward those entering the aesthetic specialty. The Diploma in Clinical Aesthetic Injectables is designed for existing and experienced aesthetic practitioners who wish to develop and extend their knowledge and clinical practice. 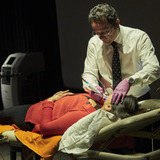 The programmes combine theoretical content and clinical practice and, according to MATA, encompass the latest Joint Council of Cosmetic Practitioners educational competencies and the Cosmetic Practice Standards Authority standards. MATA notes that the programmes are rated Level 11 on the Scottish Credit and Qualifications Framework (SCQF), which is broadly equivalent to Level 7 on the European Qualifications Framework and the Ofqual Regulated Qualifications Framework (RQF). Mr Faz Zavahir, medical director and founder of MATA said, “We want to continue to train professionals at the highest level available, and ensuring patients’ safety always comes first. We want delegates to fully understand and learn how to deal with complications safely, as well as improve on their skills." You can view all upcoming courses, hosted by a number of different providers, including MATA here https://aestheticsjournal.com/training.